Event review: Over 250 people attended a Radio Masterclass event on Wednesday 16 January, focussed on providing support and advice for young people especially from black, Asian and minority ethnic (BAME) backgrounds. Live from the BBC’s iconic Radio Theatre in Broadcasting House, the first Creative Access Masterclass of 2019 featured a panel of dynamic young radio professionals sharing insight, practical tips and advice with a full house of guests brimming with enthusiasm. Creative Access provides paid internships in the creative industries for young BAME graduates to increase their chances of securing full-time jobs and increase diversity in the creative sector. 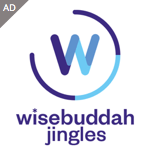 Its masterclasses are held monthly at various locations including Google, ad agencies, parliament, ITV and Channel 4. 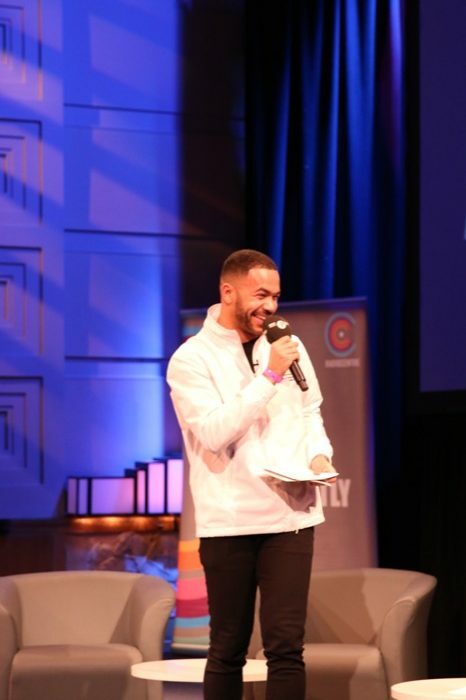 Ben Cooper, Controller at BBC Radio 1, 1Xtra and Asian Network, and Siobhan Kenny, Chief Executive at Radiocentre, welcomed the audience and set the context for a career in radio, before handing over to the panel, chaired by Reece Parkinson, Presenter on BBC 1Xtra. Panellists were Joey Addai, Head of Events at Global, Keturah Cummings, Content Producer at BBC Radio 1 and 1Xtra, KISS DJ Neev Spencer and BBC Sounds Producer Josh Ryan. Siobhan Kenny kicked off the evening by letting the young audience know about opportunities for 8-18 year olds interested in radio and audio to enter the new awards, the Young ARIAS, which open for entries on February 4. Ben Cooper followed this with some words of advice on the importance of hard work and good luck, stressing that “the harder you work the luckier you will be”. He illustrated this with a game of ‘Heads or Tails’ involving the whole audience who had shown the dedication to come along to the event, with the thrilled winner bagging a day’s work experience at BBC 1Xtra – proving that commitment and a healthy dose of luck really can pay off. Neev highlighted the importance of finding what makes you unique: “As a freelancer, is it important to specialise – you have whatever your specialism is but you need to skill-up around that”. She encouraged the audience to refuse to be pigeonholed based on their ethnic background, highlighting that it was her passion for dance music that drove her career rather than Asian music. Neev also stressed the importance of always being useful and available to help people around you at key moments. Joey revealed that his route into radio hadn’t been a traditional one – in fact he had worked in many different roles before focussing on events and securing his dream role as Head of Events at Global. He emphasised the importance of networking to the young audience, as every one of his jobs since age 16 had come about as a result of knowing someone who already worked there. Josh spoke of how a university degree in media isn’t necessarily the golden ticket to a job in the media – and how a focus on goals and getting lots of experience under one’s belt is often more valuable than having an academic qualification. He highlighted the fact that in today’s world, young people are faced with so many opportunities that it can be tempting to do a little bit of everything, but that finding your specialism and honing it at an early stage is the best route into your dream job. Keturah took the opportunity to reassure the audience that although some are ‘blessed’ to find their specialism immediately, ‘it’s ok if you don’t know exactly what you want to do when you start out’. She explained how she had found her own career path only after exploring several different avenues, from studying piano, to going to university, to writing a music blog. Her advice to the young audience was just to relax, and enjoy the process. After the session in the Radio Theatre, including some vigorous questions from the floor, the crowd poured into the Media Café for a chance to ask the panellists as well as staff from Radiocentre and the BBC about their backgrounds and experiences. Reece, Joey, Neev, Josh and Keturah all continued to give brilliant advice for the rest of the evening, sharing contact details in order to give further tips on how to get ahead in radio. Here’s something that makes no sense to me. Why does the Asian Network have a white controller? Surely it makes more sense to have an Asian controller?